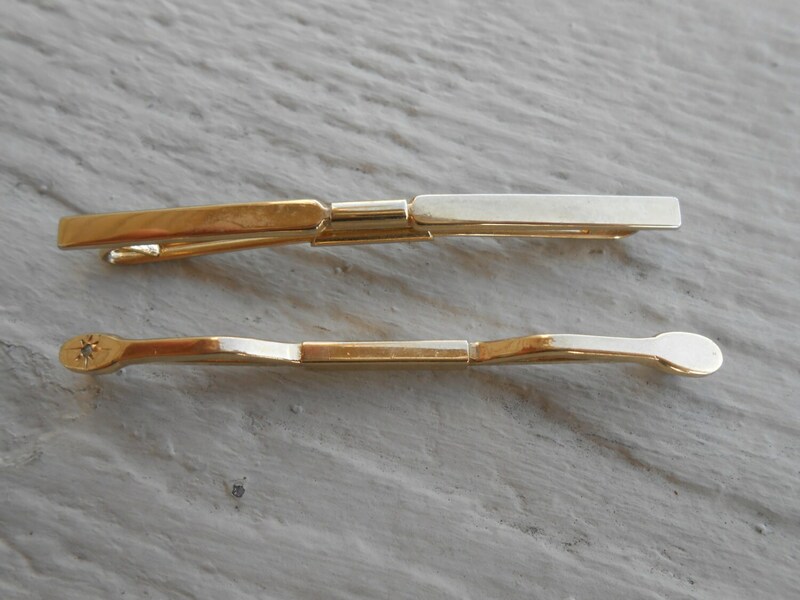 Vintage Gold Collar Clips. Christmas, Wedding, Men's, Groomsmen Gift, Dad. 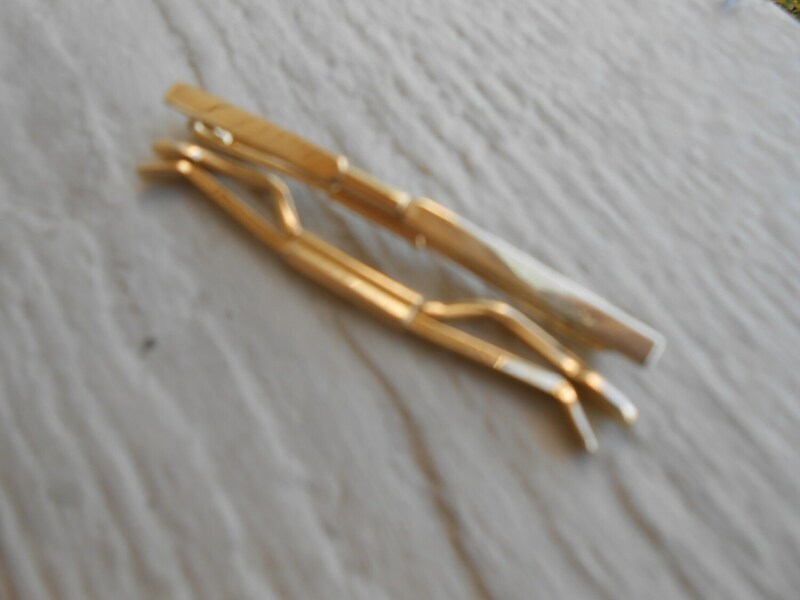 These gold colored, vintage clips are very unique. 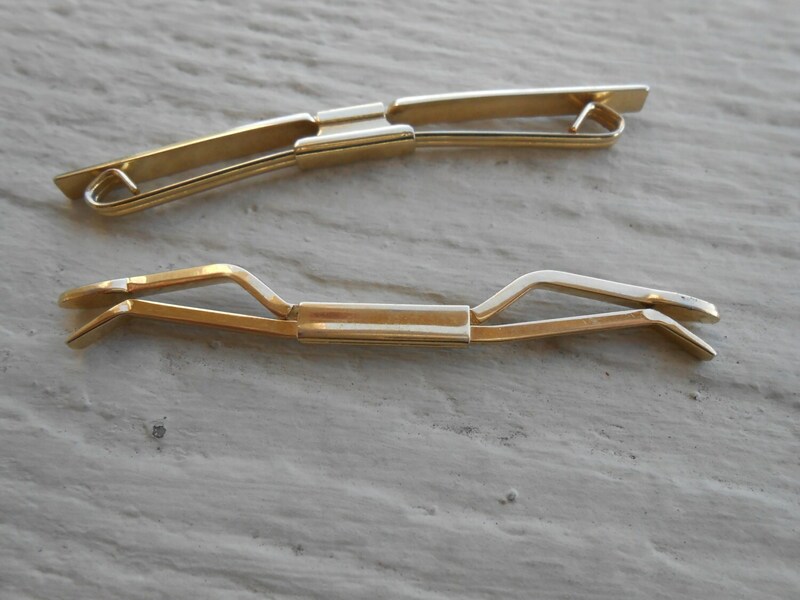 One is a gold color and one has a small diamond on the end of it. 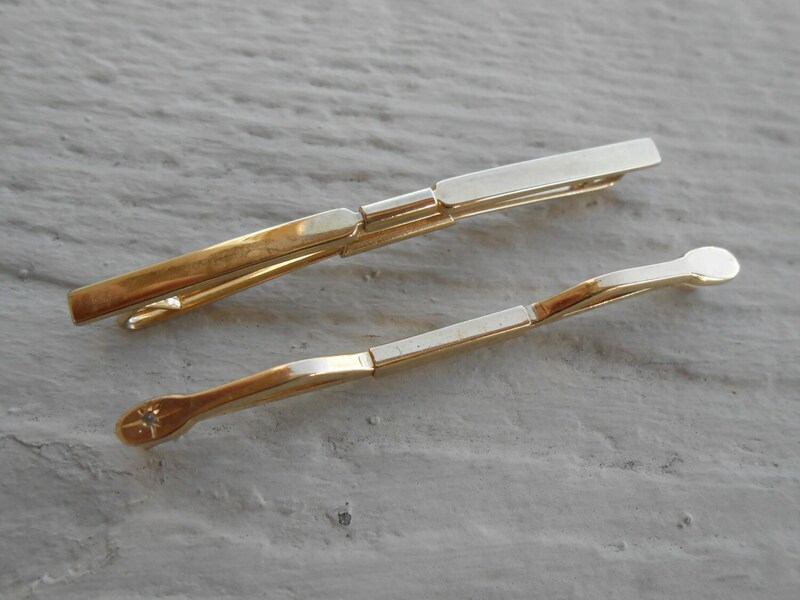 The tie clips measures 2 1/2" long. They are from the 1980s and in great condition. These would be great for any time of the year! Perfect for a wedding, for a Christmas gift, for Father's Day, or a birthday. 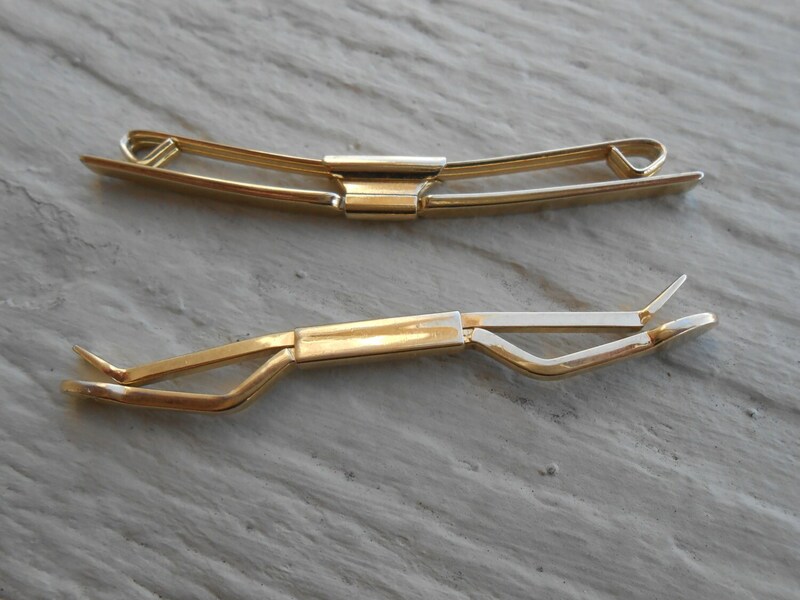 This listing is for two tie clips. Please let me know if you have any questions.